Renewable energy cooperation within countries is primarily the need of the hour. Each country should inspire and motivate on more and more reliance on renewable energy economy. 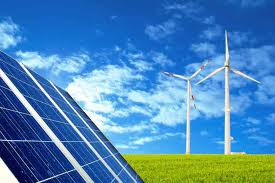 Indian government gave nod for two separate agreements with France and Mongolia to encourage and promote technical bilateral cooperation on new and renewable energy issues. "The Union Cabinet, chaired by the Prime Minister Narendra Modi, gave its ex-post-facto approval for the Memorandum of Understanding (MoU) between India and France which was signed in Paris, during the visit of the Prime Minister to France on April 10, 2015," an official statement said. The pact envisages constitution of a Joint Working Group which can co-opt other members from scientific institutions, research centres, universities or any other entity, as and when considered essential. The MoU will also help in strengthening bilateral cooperation between India and France.